Happy belated 2019! 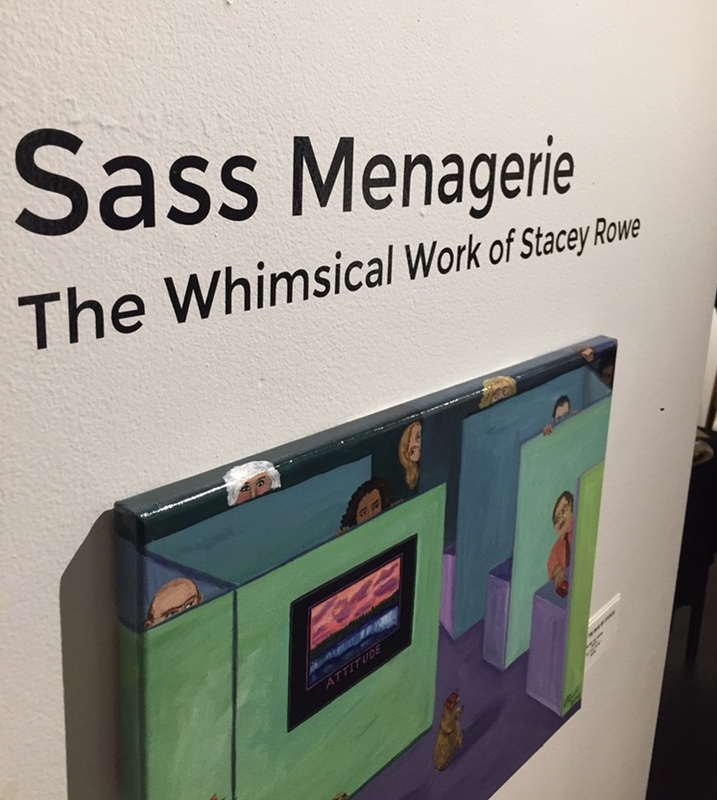 I’ve been a little busy preparing for my solo show, Sass Menagerie, at Whitman Works in Penfield, NY (just east of Rochester, NY). It opened this past Saturday night (Groundhog Day) and features over forty works – twenty-three of which were created in the last six months. 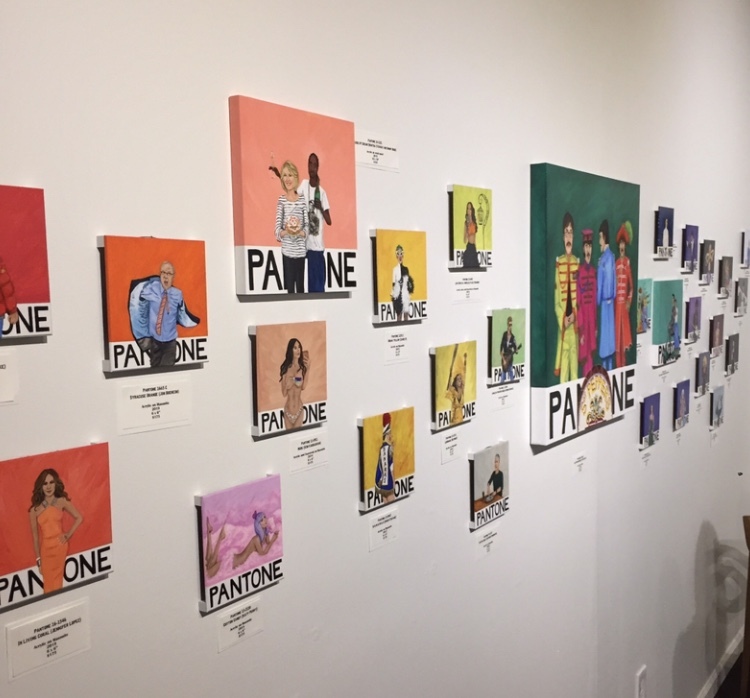 While two walls consist of medium and large pieces featuring familiar and fun animal friends, the wall I’m most excited about is entirely Pantone and consists of twenty-nine works in the series available for you to make all your own. Here are a couple of pictures that my friend Kristin took at the opening. I’ll be going back to take a few more and I also don’t want to spoil it for folks who still want to check it out. The show runs until February 23 and the gallery is open Wednesday through Saturday. More info here. Stay tuned here and on Instagram for more updates soon. Looks great. I am proud of you. Thanks for sending sending the pictures Love from Dad and Yvonne.